Recently, I have had far too much going on which has left me almost demented with tiredness. Many of the goings on have been fun and lovely things but packing that in alongside working full-time and all the standard living things one has to do has been a bit much. After next week though, life will be calmer and quieter and I intend to keep it that way for a while. Here are a few of the things I have liked or found interesting this week. My favourite thing this week has been the birthday dinner Marion hosted for Jackie but in my haste I forgot my camera and phone so no photos. It was a wonderful evening with gorgeous girlie company and delicious food. 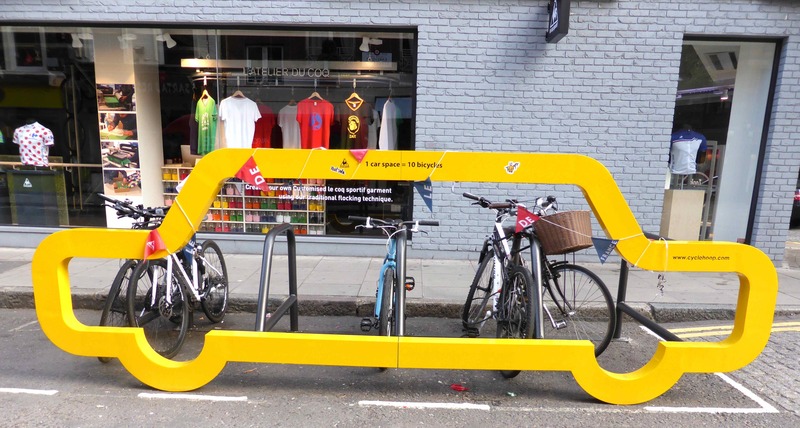 1. this yellow car shaped object is to demonstrate how one parked car takes up the space of 10 bicycles. 2. 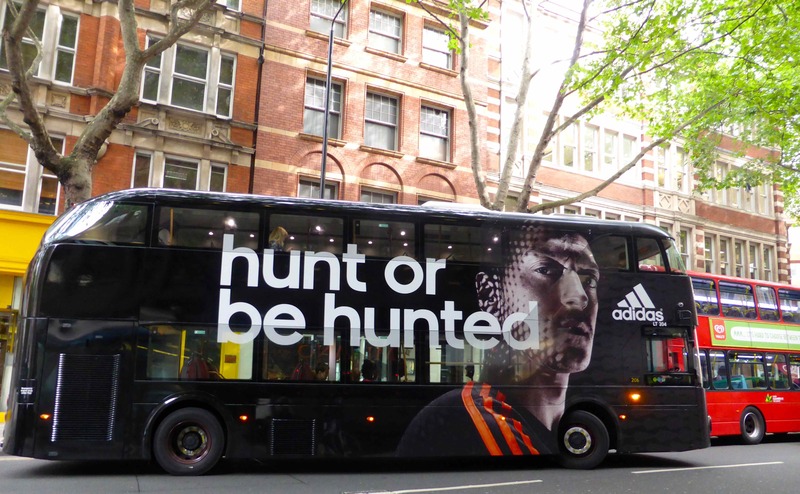 This black bus outside the office looked a bit sinister to me – I definitely prefer the red ones but it is a very dramatic advert! 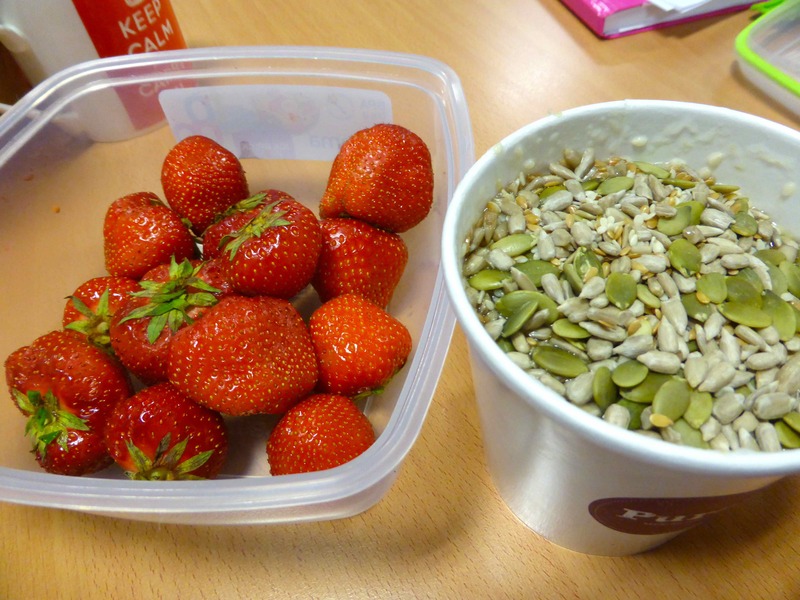 I had a vegan day and ate strawberries, porridge (made with soya milk) and seeds for breakfast. 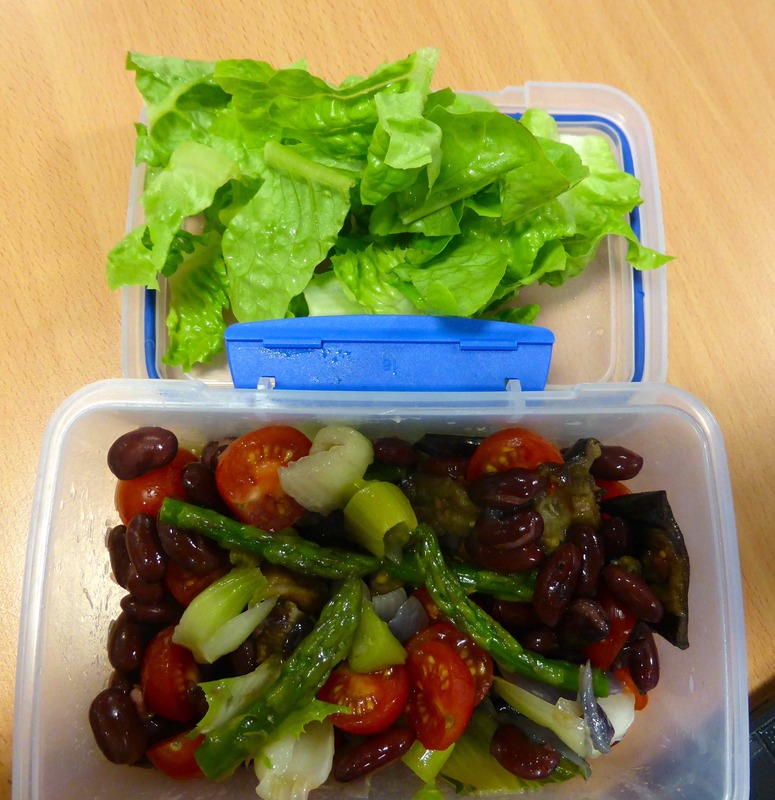 A delicious salad for lunch made with lettuce from the garden and mixed vegetables with red kidney beans. I really liked this. Roasted veggies left over from a stir fry and some oven roasted veg with raw tomatoes. Full of flavour and texture. 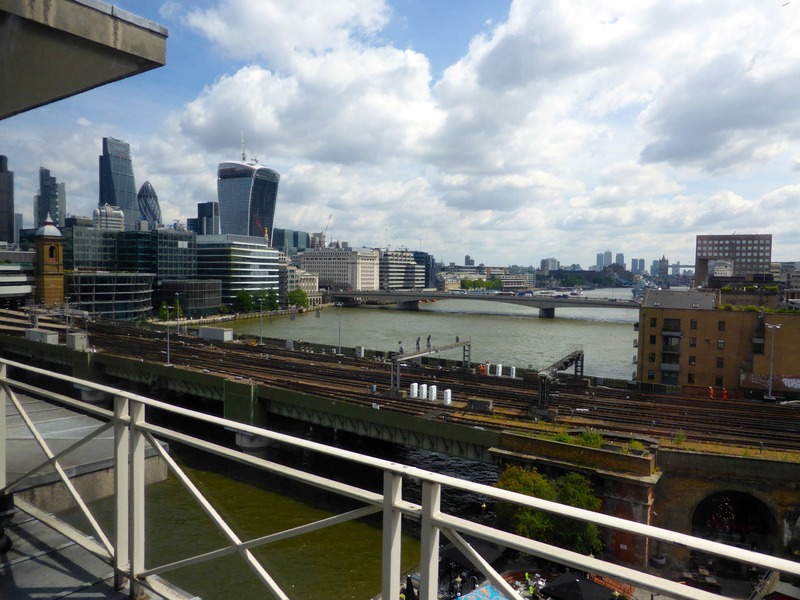 I worked in my old office beside Borough Market yesterday, in a meeting room on the 7th floor which had a superb view. 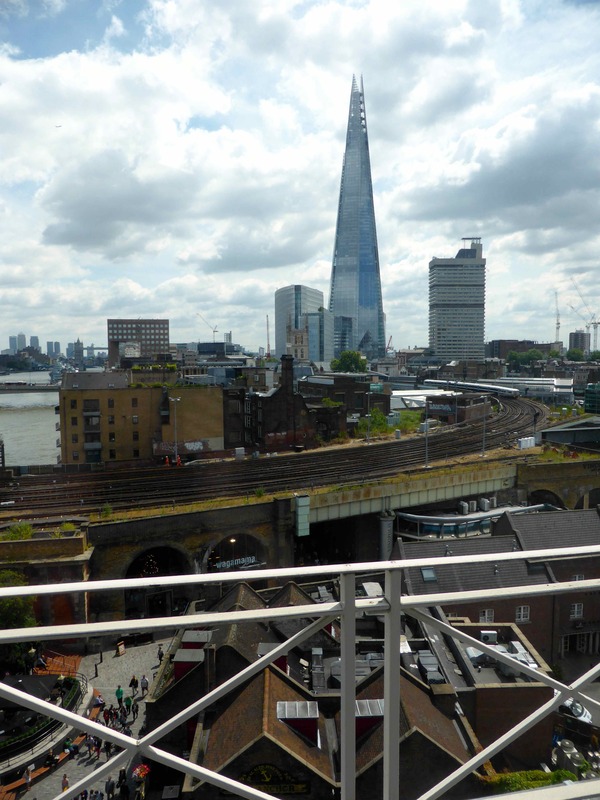 This is looking down on the Anchor Pub and over towards the Shard. Borough Market is under the train tracks. The nearest bridge is for the trains from London Bridge to Cannon Street and the next bridge along is London Bridge. Today I made the time to go out and enjoy lunch, instead of rushing out, grabbing something and eating at my desk like I usually do. I went to Timber Yard which I like very much when I can eat in. 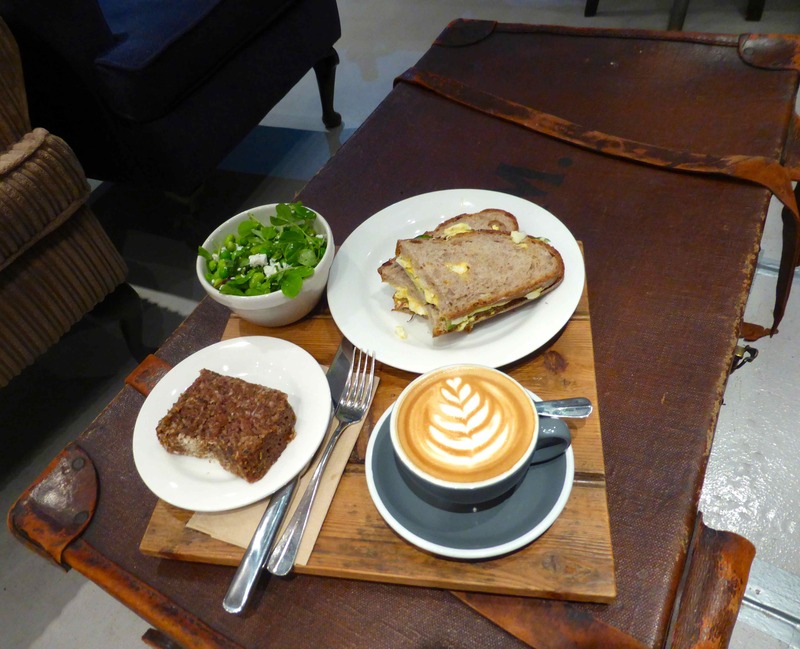 I like the eclectic mix of furniture and people in there, the music, the decor and the food and coffee. The cafe which is annoying when you are in a rush is perfect when you want to chill and relax. 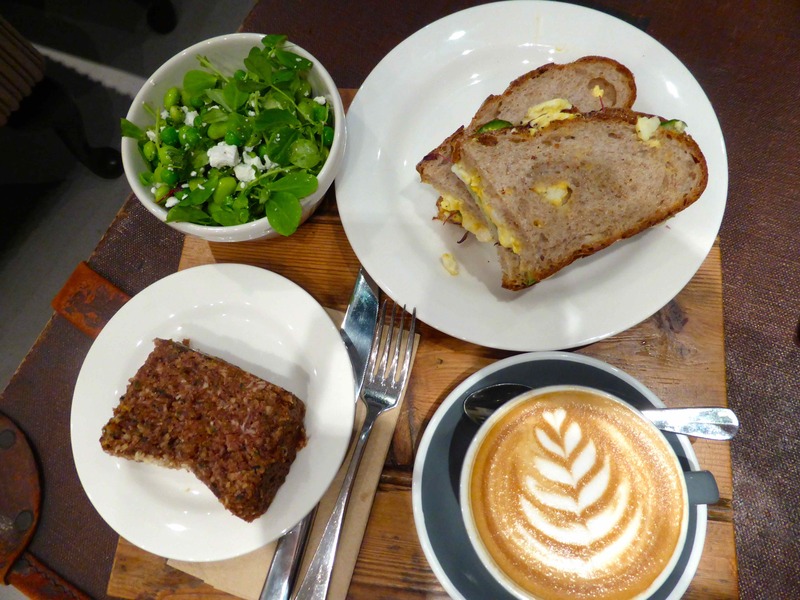 I had an egg mayonnaise sandwich, pea and cheese salad, a carrot and coconut cake and a lovely coffee. Not quite as good as Monmouth but not far off! I enjoyed reading while I slowly munched. 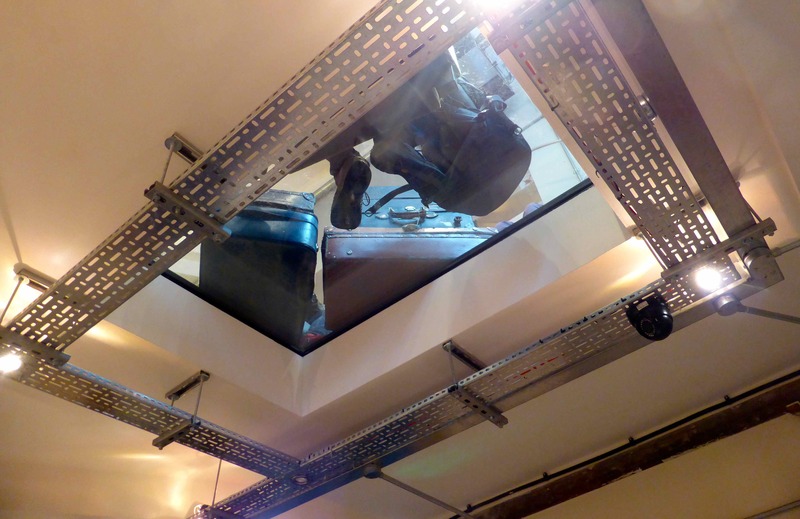 This is the view up through the floor to the street level part of the cafe, which has glass panels in the floor so you can see some of the people and furnishings relaxing upstairs. 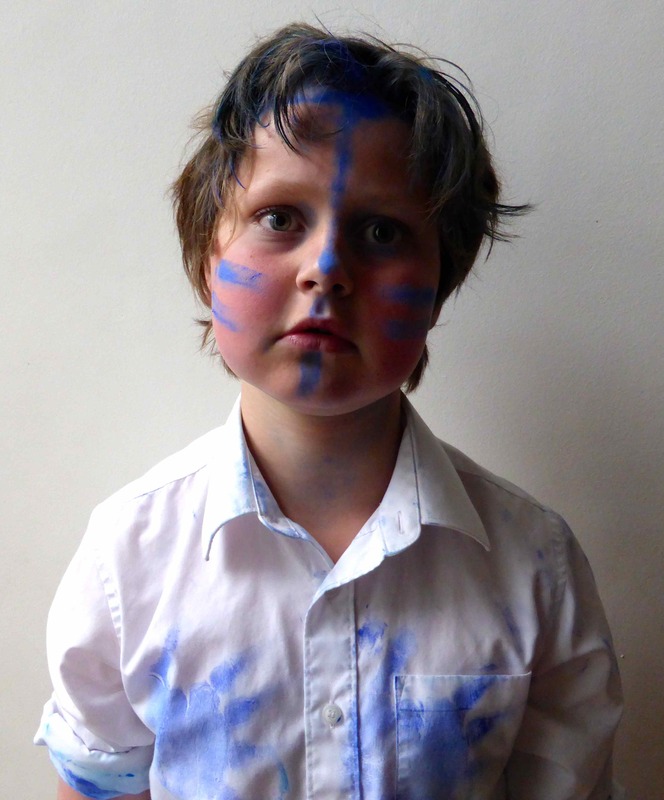 Harvey appears to have gone tribal. 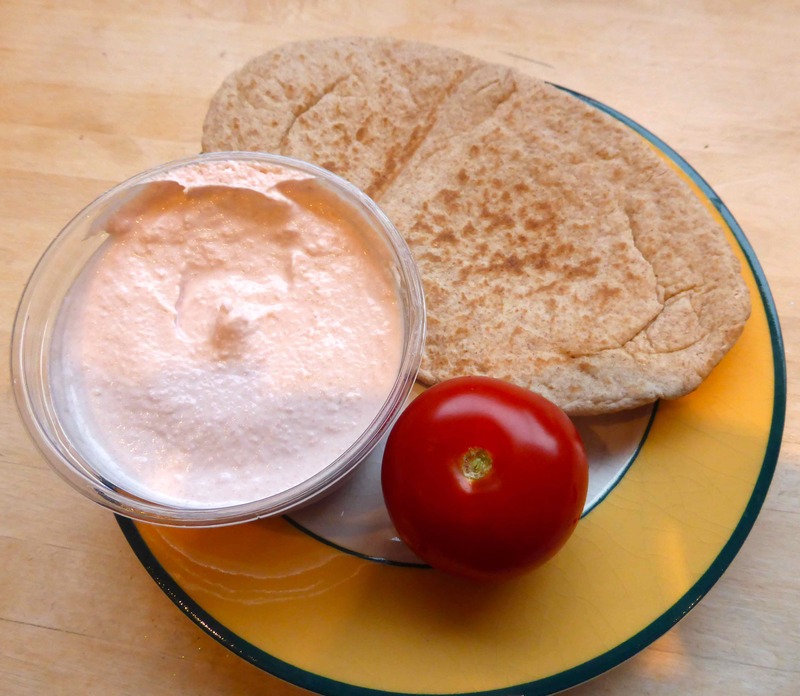 So tired tonight ( I was home late night last night due to working late then joining the team for someone’s leaving drinks) so I had the simplest supper ever – pitta bread, tomato and taramasalata. I expect I had 3 of these pittas. I am away all weekend again and then on Monday I can focus on losing weight and getting healthy again. 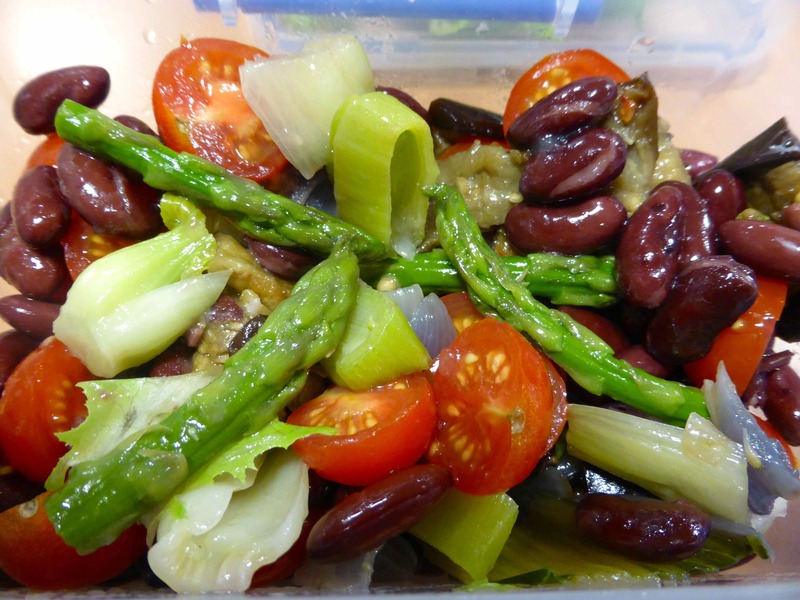 I have negotiated a 4 day working week over the summer and more days working from home so that will give me the time to exercise, eat well and behave myself. Have a wonderful weekend and I will be back on Sunday night with tales of my weekend away, which I am spending in a yurt and in the esteemed company of Sarah Raven, Hugh F-W and Yotam Ottolenghi !!!!!! Excited ? Oh yes, VERY !!!!!!! Oh good. You get to take a deep breath and take care of you for next week’s plans for a healthier lifestyle that includes more downtime and healthier food options to fuel you. Lunch looked awesome today.